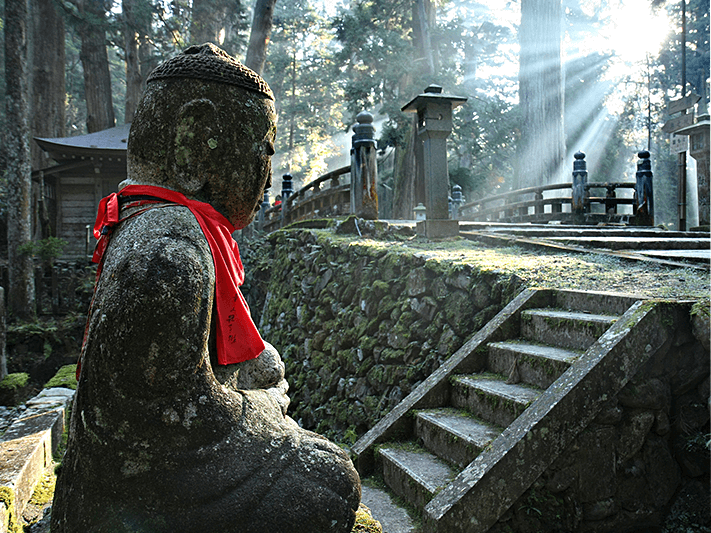 The ancient Japanese legend of Kōbō Daishi tells of a great Buddhist saint ‒ known in his lifetime as Kūkai ‒ who founded one of the most renowned monasteries in Japan at Mount Koya, regarded as the center of esoteric Buddhism. According to mythology and folklore, this wandering saint would emit streams of light when he spoke, purify water, commune with deities and restore the dead to life. The legend of Kōbō Daishi explains how he would brew the ancient Enmei herb to revive the sick and assist in his healing work, due to its unique energetic properties. Fast forward 1200 years, and the skincare specialists and research scientists at SHISEIDO have harnessed the healing powers of Enmei, collected from the foot of Mount Koya, in conjunction with an incredible cocktail of skin-boosting ingredients in the innovative, anti-aging Future Solution LX line. The results? A meeting of nature and science that helps to regenerate younger-looking skin from the inside out. Traditional Japanese botanicals have never been so desirable, or so effective, thanks to SHISEIDO’s cutting-edge technology and respect for nature. 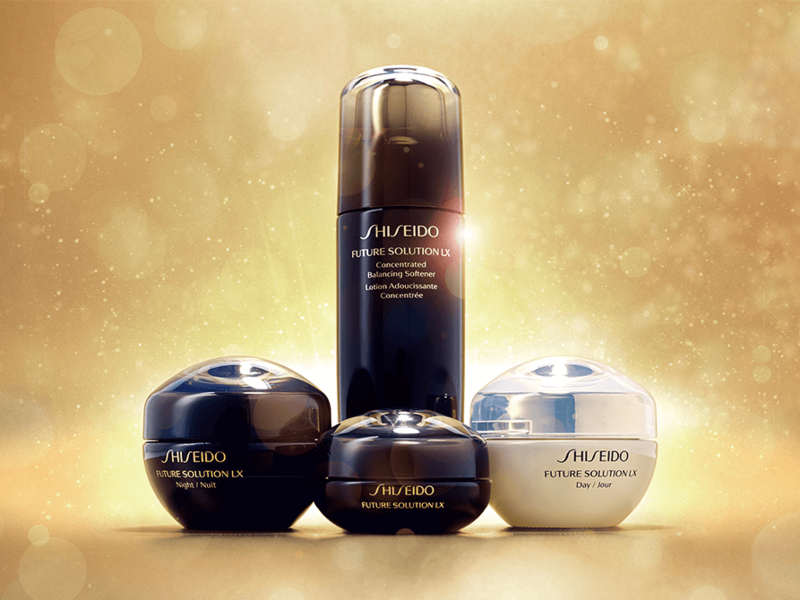 The SHISEIDO Future Solution LX collection works as a holistic ritual, which encourages a beautifully radiant complexion. Think smooth, even, youthful skin with a healthy glow. By supplying skin with SkingenecellEnmei day and night, you’re giving it the ability to achieve continuous improvement, as it defends and regenerates itself. Nurturing your skin and increasing its resilience by 96%, Future Solution LX creates a silky-smooth complexion for now – and for the future. In Japanese “Enmei” means “extends lifespan” or “longevity”. Pioneers in skincare, SHISEIDO always go the extra mile to create luxurious skin-boosting products that combine the best of nature with innovative technological advances to allow your natural skin to look its most healthy and beautiful, whatever your age. In an age of transitory experiences and virtual technology, it’s an authentically rich, sensorial experience that is now regarded as the utmost in luxury. This genuine, holistic experience builds on Japanese traditions and aesthetics, nourishing an energized form of beauty that is based on a Japanese culture of respect for all living things. The Future Solution LX line has anti-aging, antioxidant abilities thanks to its ingredients, which include SkingenecellEnmei, inspired by the beauty of plant longevity. 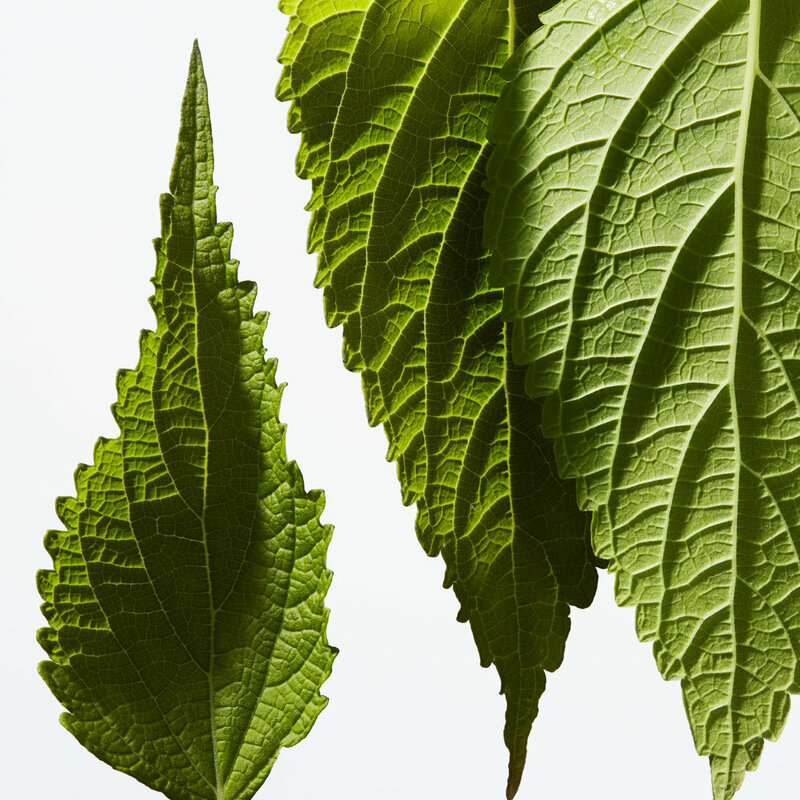 This unique ingredient combines respectfully grown and harvested Enmei herbs with Vitamin C and antioxidant-rich angelica root, green tea and sakura leaf extracts. Add an alluring white floral scent (thanks to the Japanese cherry blossom, rose and plum blossom) and it’s no wonder that SHISEIDO Future Solution FX skincare will soon become an essential ‒ and much loved ‒ part of your daily skincare ritual. Engaging all five senses, the simple act of caring for your skin becomes a precious, personal gift that energizes your life force and creates a sense of caring for all things, which is part of the fabric of Japanese life. How do these unique ingredients benefit the skin? SkingenecellEnmei has three main effects. It helps to promote longevity by minimizing skin damage, making for youthful and healthy-looking skin. It also strengthens and protects the skin from future environmental damage, as well as boosting skin turnover for smoother, firmer skin. Combined with the antioxidants Hokkaido angelica extract, Uji green tea extract and Oshima sakura leaf extract, the formula has an anti-aging effect on the skin, helping to leave you with a firmer, smoother and healthier-looking complexion. Almost immediately, you will feel the added softness to your skin. After several weeks, your complexion will look youthful and vibrant, and the texture of your skin will be refined. With continued use, the signs of aging may become less visible and you may notice your skin has a healthier glow and more even tone. This luxurious cleansing foam envelops your skin in a rich lather of nourishment, leaving it feeling fresh and smooth. It gently lifts away any impurities without disturbing your complexion’s essential moisture balance. Use in the morning and at night. Squeeze about 1cm onto your palm and work up a rich lather using cool or lukewarm water. Massage over your face with gentle circular motions. Rinse thoroughly. LA beautifully enriched, softening lotion that helps to renew your skin’s vitalizing forces and encourages them to thrive. SHISEIDO’s exclusive 4MSK and TMG ingredients combine to target the causes of uneven contours or skin tone, including any thickening or roughness. The texture is refined and pores become less visible. Your complexion will be brighter, smoother, and have a soft glow that seems to emerge from within. Use morning and night after cleansing. Pump the dispenser twice onto a cotton pad before wiping gently and evenly over the face. This rich, multi-functional day cream protects and revitalizes your skin. A luxuriously smooth texture keeps your complexion hydrated throughout the day for a dewy, fresh effect. Premium sansho extract encourages the skin’s natural self-protection against environmental aggressors, while the hybrid anti-pollution powder helps to protect skin against various pollutants. This luscious cream also works to minimize the look of fine lines and pores, for plumped-up, bright skin that looks visibly healthy. Use in the morning after your SHISEIDO Future Solution LX Concentrated Balancing Softener. Using a spatula or clean fingers, take the amount of two pearl beads and place onto your palm, before smoothing over your entire face using upwards and outwards motions. Containing the highest concentration of the ingredient SkingenecellEnmei, this intensive night cream helps to repair the skin’s DNA damage while you sleep. Its dense, creamy texture melts quickly into the skin, leaving your complexion firm, radiant and resilient with continued use. Ideal for a first-time user as it contains the most concentrated of the Future Solution LX technology, the age-resistant ingredients work while you get your beauty sleep so you can wake up to fresh, glowing and firmer skin! Use at night after your Concentrated Balancing Softener. Apply the amount of two pearl beads onto your palm with the spatula. Smooth over your entire face using gentle upwards and outwards motions. Vital to your senses of sight, taste and touch, the sensitive skin surrounding your eyes and lips responds beautifully to sensorial stimulation in the form of skincare. This luxurious cream nourishes and helps to repair the delicate skin around the lips and eyes, reducing signs of aging and fatigue. Leaving your skin firmer, brighter and more resilient, any dark circles are reduced for a fresh-faced look. Use every morning and night. In the morning, use before applying a product with UV protection. At night, use as the last step of your skincare regime. Using your fingertips, take a small amount of the cream and spread it gently and slowly around the eye and mouth areas.